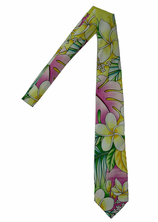 Aloha Neck ties in Hawaiian Tropical prints. Wear a little bit of Aloha with you at work or out on the town. 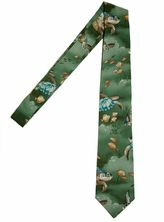 These attractive Hawaiian print neckties go well with dress shirts and suits. 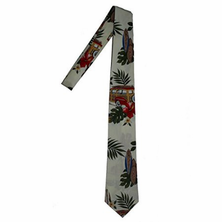 Made of 100% cotton they are easy to care for and come in various Aloha print designs. They are 57" long from tip to tip and 3 1/2" wide near the bottom end. 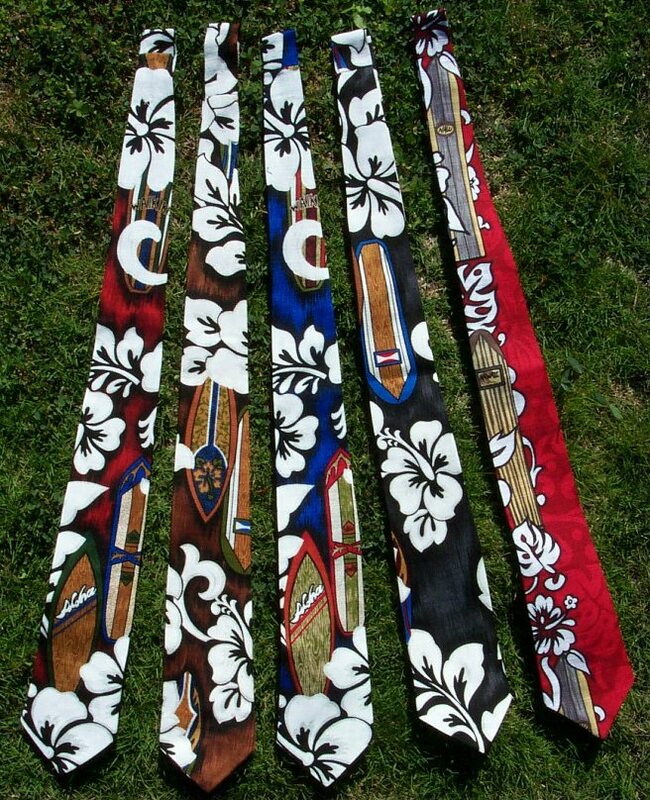 These Aloha Neckties are something new. The prints you see now are current but are replaced as soon as possible as they sell out. 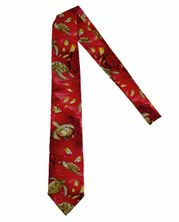 Note: Each Necktie made from the same print will be slightly different because they are cut from different locations on the same roll of material. Made in Hawaii, 100% cotton. For Hawaiian Shirts click here to see our outstanding selections!